Moderated by UWWM mediator and special magistrate Jeffrey M. Fleming, this CLE presentation explains how to maintain ethical standards and civil discourse during mediations, specifically those that arise from class and mass actions. 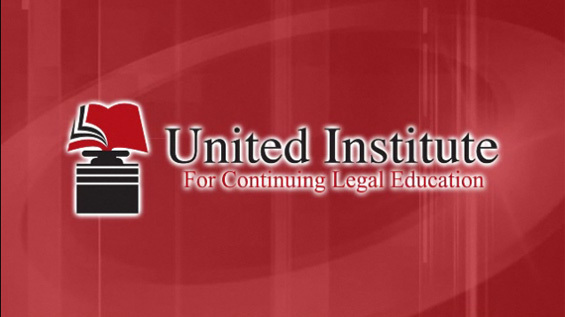 The course will be presented by Rodney Max, a principal with Upchurch Watson White and Max Mediation Group, and UWWM mediator Steven Jaffe. Rodney A. Max has led more than 5,000 mediations arising from more than 12,000 cases for matters including wrongful death, personal injury, breach of contract, insurance disputes, antitrust, mass and class action issues involving products and services in all consumer areas, patent and trademark infringement, employment cases, family and decedent estate issues, fraud and negligence, health and general commercial liability insurance coverage cases and more. He has practiced since 1975, including representation of plaintiffs and defendants in breach of contract, fraud, commercial products liability, lender liability, mass and class actions and other statutory remedies. Mr. Max has been selected and/or court appointed as a third party neutral or mediator in a number of significant state and federal mass and class actions involving personal injury, wrongful death and property damage claims. These claims have involved products, services, and/or consumer rights (e.g., privacy). The mass and class actions have encompassed areas of insurance, pharmaceuticals, transportation, environmental, computer, cell phones, and other technological issues. He is a noted speaker on mediation and alternative dispute resolution topics, delivering his message to organizations throughout the country, including national and state bar associations and sections ~ on both sides of the trial aisle, as well as neutral groups. Among his published works: "Multiparty Mediation", The American Journal of Trial Advocacy (volume 23, Issue 2, Fall 1999) and "Mediation: The Humanization of the Justice System Resulting in the Truest Equities Among the Parties" (The Alabama Defense Lawyer Journal, 1999). Mr. Max also has presented seminars on a number of his written articles, including "Designing the Mediation", "Goal Oriented Approach to Negotiations" and "Breaking Impasse". Steven Jaffe has litigated a wide variety of civil matters, from both the defense and plaintiff sides, throughout Florida and nationwide since 1984. He has taken part in more than 200 mediations and has developed a true passion for the dispute resolution process. His practice areas include personal injury, class action, medical malpractice, breach of contract, consumer fraud, long-term care insurance and complex commercial cases. Steven started his practice in the criminal arena, trying more than 20 cases to verdict over two years in the state attorney’s office. He then transitioned to civil litigation as house counsel for Liberty Mutual Insurance Company, representing the interests of insurance companies. Steven then began representing individual and corporate plaintiffs in numerous types of civil actions. He has handled class actions for the past 17 years in various courts throughout the country. He comes to Upchurch Watson White & Max after serving as a partner at several well-known civil trial firms; fellow partners have included a Florida Bar president and, most recently, a Florida Justice Association president and a sitting Florida state senator. Steven’s extensive litigation practice, coupled with his philanthropic work and involvement in more than a dozen professional, charitable and civic organizations, has provided him a unique ability to understand people and to understand every side of a civil case. With exceptional speed, Steven comprehends complex issues and provides practical and unique solutions necessary for the mediation process. He looks forward to using his ability to resolve conflicts and bring people together in often difficult circumstances as a full-time mediator with UWWM. Jeffrey M. Fleming was appointed Orange County Judge in 2002 and Ninth Circuit Judge in 2006. Following his appointment, Mr. Fleming was later elected to each post without opposition. He also had the privilege of serving as Associate Judge on the Fifth District Court of Appeal. Before he was a judge, Jeff was a trial lawyer. He tried cases in both state and federal court and also appeared as appellate counsel. As a judge, he presided over a wide variety of matters including all types of civil, criminal, domestic, juvenile, probate, guardianship and mental health cases. In 2013, after 11 years on the bench, Jeff decided to resume his practice as a Board Certified Civil Trial Lawyer and to develop an active mediation practice. He now devotes his time as a Florida Supreme Court Certified Circuit, Appellate and Family Law Mediator as well as a Certified U.S. District Court Mediator - Middle District of Florida. Jeff has also served as an arbitrator and has been appointed as a Special Magistrate in multiple jurisdictions. Jeff was born and raised in Orlando. He and his wife, Joanne, have four grown children.